Sell land fast for cash. No Hassle. No Fees. Want to find out how much we’ll pay you for your land? Fill out this form and we’ll give you a no obligation offer! To get started, simply fill out the form or scroll down to find out more about how the process works. We buy land directly. No fees. No Hassles. If you’re interested, we can provide you an offer this week! If the offer is something that you are happy with, we’ll setup a closing at whatever time is best for you! We’re a professional land buying company that focuses on you….the customer! We provide cash for land and work as hard as we can to make sure you have a good experience selling your land. Are you looking to quickly cash out your land? Do you no longer have any use for your land? Are you tired of wasting money on taxes and dues? We’re here to help! We exist to help land owners find solutions for their property. See how it works. Our goal is to make the entire land selling process quick and straight forward. Many land owners choose to work with us because we have a simple, no-hassle process. We close in cash and can move quickly. With direct experience in land buying and selling, we walk with you through the process of selling your land in confidence. For most people, even if your land has title or tax issues, we can make you an offer to buy your land this week. Is your land from an inheritance and you really have no use for it? Does your land require some improvements or upkeep and you don’t have the desire to make the required investments? Do you need cash to invest in a business or another plot of land? Are the taxes and dues too much of a hassle? Do you feel like just cashing the land out and lifting the burden? Do you you react when you think about the prospect of having to prepare, market, and sell your land? Our goal as a land buying company is to help you sell your land fast so that you can focus on what’s more important to you. For most people, especially out of state owners, a small piece of land can end up just being another liability. It’s no fun. We exist to buy land fast–in cash– to get rid of the headache. Compare selling to us vs. selling yourself vs. listing with a realtor. For many properties, we can close in as little as 2 days if necessary! That’s why we specialize in land buying and selling. We know how to value land, how to market it, and how to create solutions for properties that may have some outstanding issues. We’re different! We are not real estate agents. We want to buy your land fast. We are land purchasing company and our goal is to move quickly to help you sell your land fast. 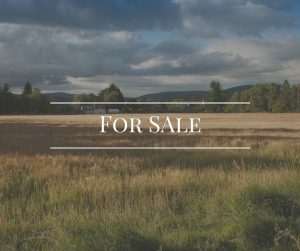 Most agents aren’t interested in listing smaller pieces of land, or land that is available in rural areas. We are! If you’ve ever been the least bit stressed about your land, but don’t know where to begin, then we’re here to help! We work with you directly and walk with you through the entire process. We don’t charge you any thing and we pay all the closing costs and fees. Whatever reason you have for wanting to sell your land, we can help. You can be assured that we will treat you with respect and do our best to help you, even if you don’t sell us your land. We buy land in a simple and straightforward way. Fill out this form. We’ll then do some research on your land, make an evaluation, and make you an offer. There is absolutely no-obligation, so you don’t have to do anything if you aren’t completely satisfied with our offer to buy your land. 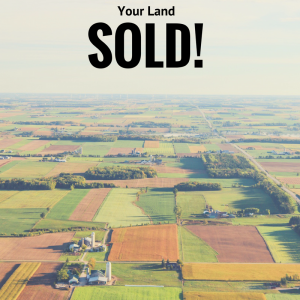 We buy land nationwide to help people who don’t want to sell the conventional way. This business is how we make a living. We always treat people with respect. If you own a piece of land that is more hassle than it’s worth. If you owe taxes or just don’t feel like worrying about it, we’re here to help you with a quick land sale. If you’d like to learn more fill out this form. Which route is quicker? Puts more cash in your pocket? Has fewer hassles? Fill in basic contact information — on this form. Next we’ll gather property information. We research the property and work with our team to come up with a fair cash offer. We send you the offer and other required paper work to move forward with the transaction. We move forward with you towards a quick closing on the property. You get Cash! We pay cash for land, nationwide. We work with landowners to find solutions to their landownership hassles. Get in touch with us. We don't want to waste your time or ours. Get Our Guaranteed Highest Offer.